Project Title & Job Number If applicable.  Please provide a summary of the claim or provide a summary of the facts or circumstances that may give rise to a claim, including any additional details that may assist Underwriter's understanding of this matter. Please provide your comments in response to the claim or the facts or circumstances that might give rise to a claim. Do you think anyone else is at fault? If so, why? Please provide a rough estimate of the amount which may be claimed, including any delay or disruption if appropriate. Please provide any other parties details and there relationship to the project.